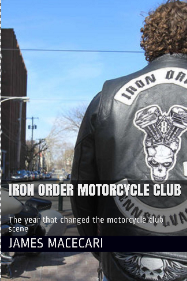 The Iron Order Motorcycle Club book will look at the impact started in 2004 until now. Iron Order M/C has been the subject of multiple confrontations with well established motorcycle clubs and is seen as starting the "Pop Up Club" phenomenon. Before the Iron Order MC, it was unheard of accepting Active or Retire Law Enforcement into a civilian motorcycle club. Now, 2018 has seen a rise in clubs sporting the 1% patch accepting law enforcement into their ranks. The 1% patch was once seen as a badge of honor to those who are considered Outlaw Motorcycle Clubs. Now, with the Pop Up Club Phenomenon, the 1% patch is now fading into history. 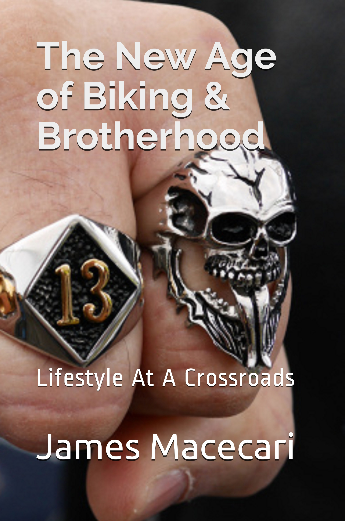 This will be a brutally honest book about the Iron Order MC. This book is one of the first that has been written on Iron Order MC. It will include interviews with some in the Iron Order as well as information that will rock the readers world. The New Age of Biking & Brotherhood - James "Hollywood" Macecari brings over 25 years of Motorcycle Club experience out of Chicago to give an explosive look at the current condition of the motorcycle club scene.Hollywood brings a no non sense look at the issues facing the motorcycle club scene. Everything from Motorcycle Gangsters to Pop-up clubs.The New Age Of Biking and Brotherhood will keep you on the edge of your seats with explosive never before heard material.You will get interviews granted only to James "Hollywood" Macecari from clubs like the Outlaws MC, Iron Order MC, Cossack 1%ers and more.Besides interviews you will get some behind the scenes knowledge of the Waco Twin Peaks incident between the Bandidos M/C and Ugly Man Cossacks.Crack that throttle because it's time to take a hard look at what is going on in the scene and the things that can bring it to its knees.